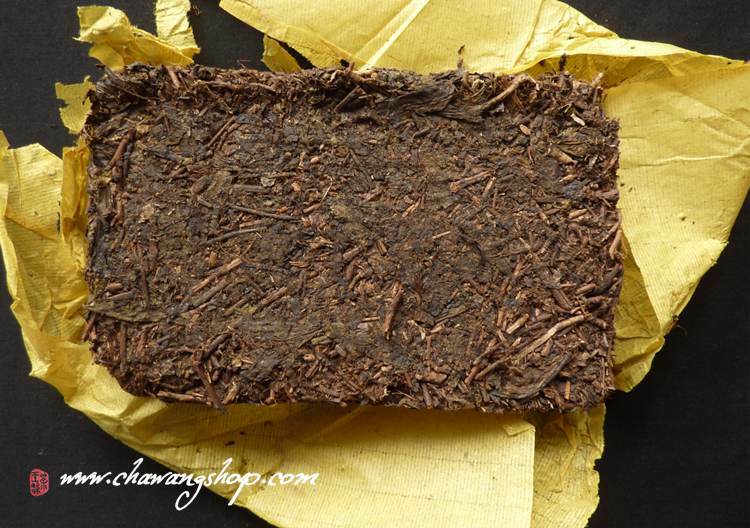 This kang zhuan (Tibetan brick) is little rare because the tea came from Hunan province. 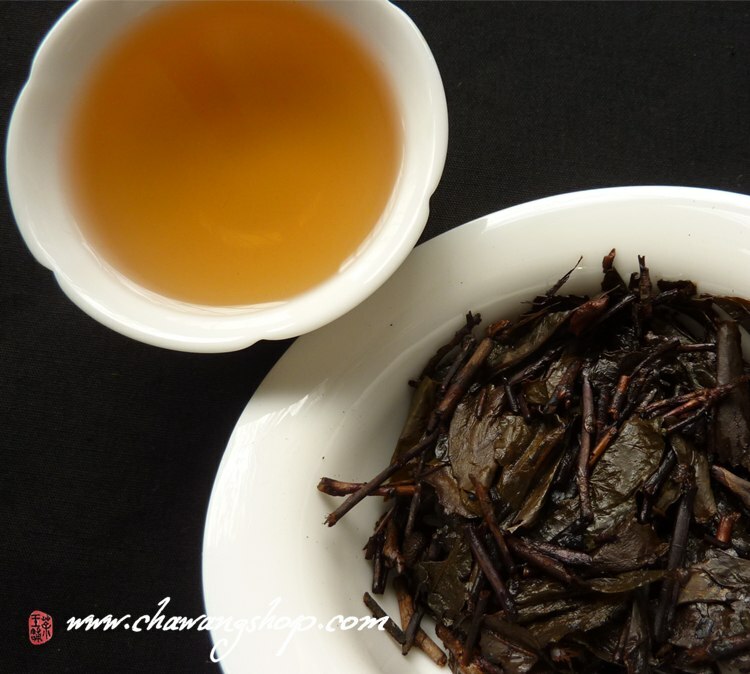 Most of kang zhuan are made in Sichuan, some in Guizhou or Yunnan province. This is the first time we meet with Hunan prov. 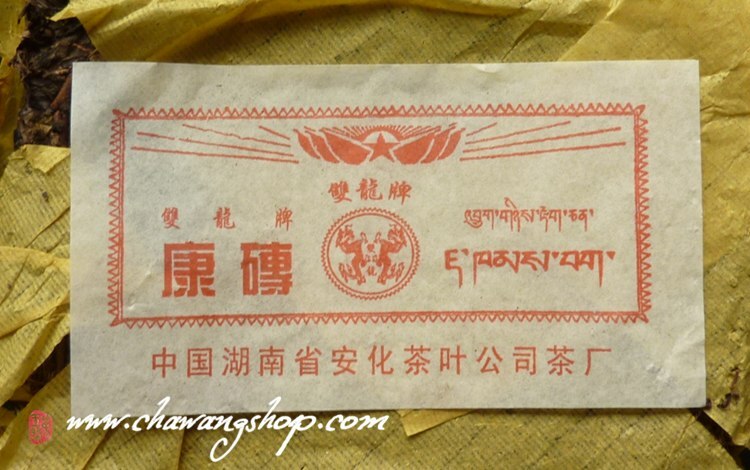 brick for Tibet.Thess bricks are made from large leaves and stalks, wrapped in thin yellow paper, vary in weights from 280g to 330g. Sweet with nice aroma ! Simple and comfortable in cold days! The tea had some earthy smell, after a few infusions it went right away. We suggest washing the tea several times before drinking.